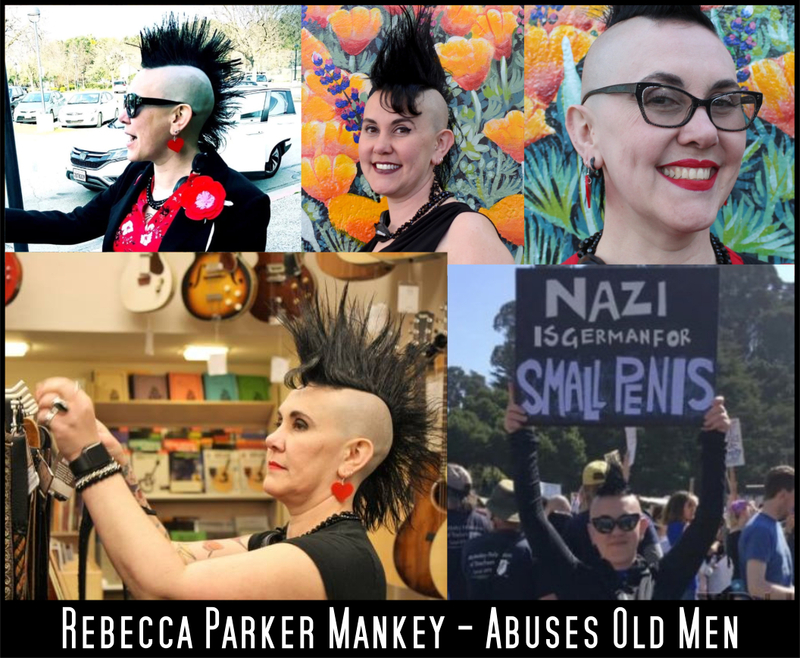 Rebecca Parker Mankey is one of the latest examples of a feral Trump-hating feminazi in action. 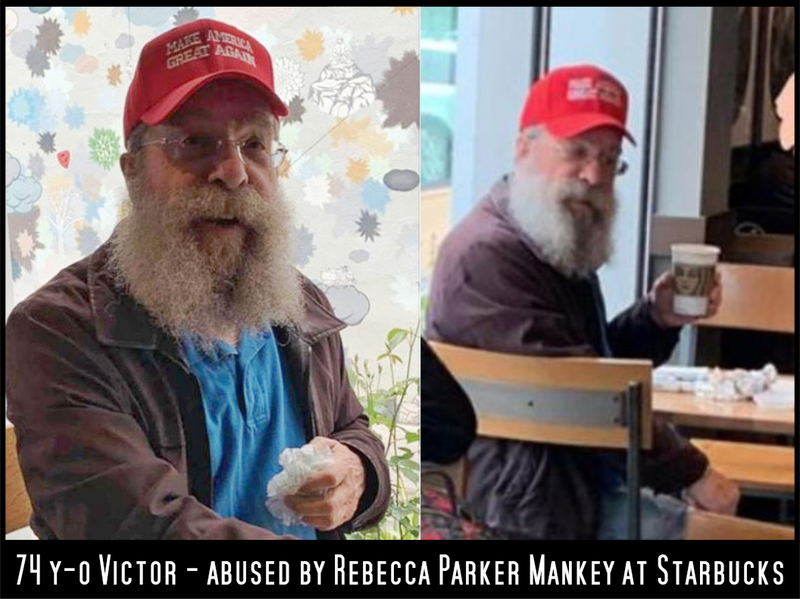 A middle-aged punk, sporting a Mohican hairstyle, Mankey attacked Victor F., a 74-year-old Jewish customer, because he wore a MAGA hat. The ambush happened in a Starbucks coffeehouse, at 361 California Ave, Palo Alto, in the San Francisco Bay Area, California. The story was broadcast by KPIX CBS SF here. As he sat, drinking coffee, Victor F’s MAGA hat made the 46-year-old see red and to go ballistic. Like a bull roused by a moving cape, the wild-eyed Democrat chased poor Victor out of Starbucks. Calling him a “hater of brown people,” Mankey said she yelled at him and addressed Starbucks customers and employees to join her in her effort. She said she left the store but soon returned and continued to yell at him… She followed him out of the store to the parking lot, where she continued to berate and swear at him. Big news networks ignored the story since they protect their own. Amy @RightHookUSA did a great expose, but at the time of writing there is not a morsel on CNN.com, which is revealing when you consider the mountain of information they put up about Covington High School students, over a non-event. 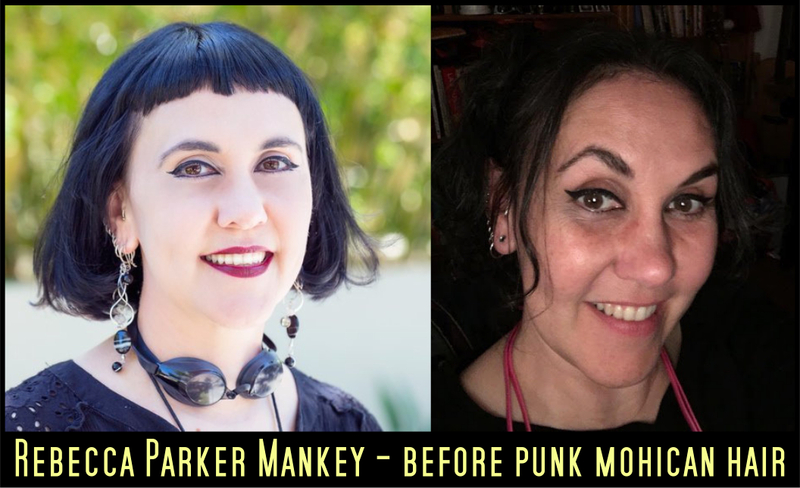 Even media that did publish failed to dig for other information about Rebecca Parker Mankey so to avoid public shame she will merely replace her punk Mohican hairstyle with a simple hairdo and use a different name. 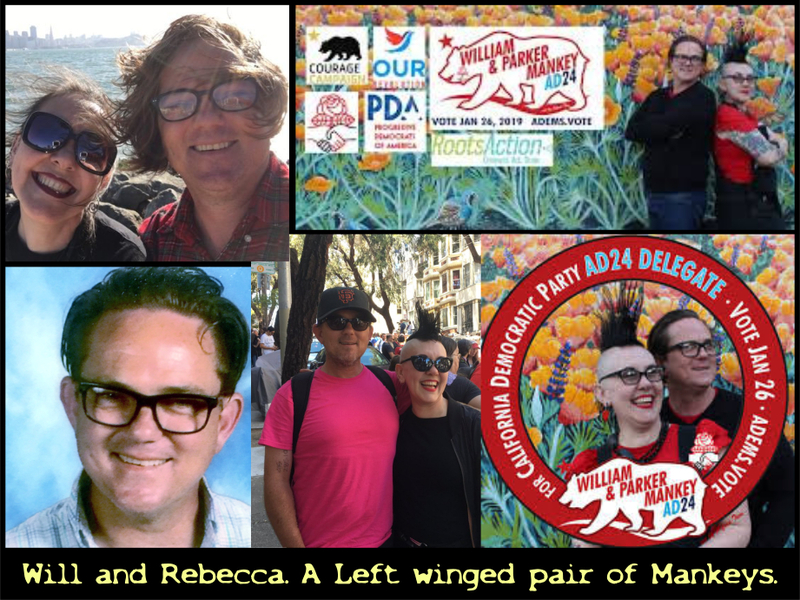 How many will know she is the feral socialist nutjob sacked by the Bayshore Progressive Democrats, and Gryphon Strings music shop? Fourteen months ago, then twenty-seven-year-old Charlotte Alter, the daughter of successful liberal journalist and author Jonathan Alter, wrote a cover story for Time Magazine. It was a two-dimensional propaganda piece about female activists running for office, supposedly to rescue America from Trump. The article was called “The Avengers” and was about as realistic as the Marvel Comics superhero team of the same name. The Time cover displayed 48 nameless women in black and white. When magazines do this they traditionally provide a silhouette illustration that lists names of the subjects,so you can look up such people to find out more about them. Otherwise, the photos could include anyone. Activists are a motley crew. It would be difficult assembling four dozen of the scoundrels without a few black sheep. 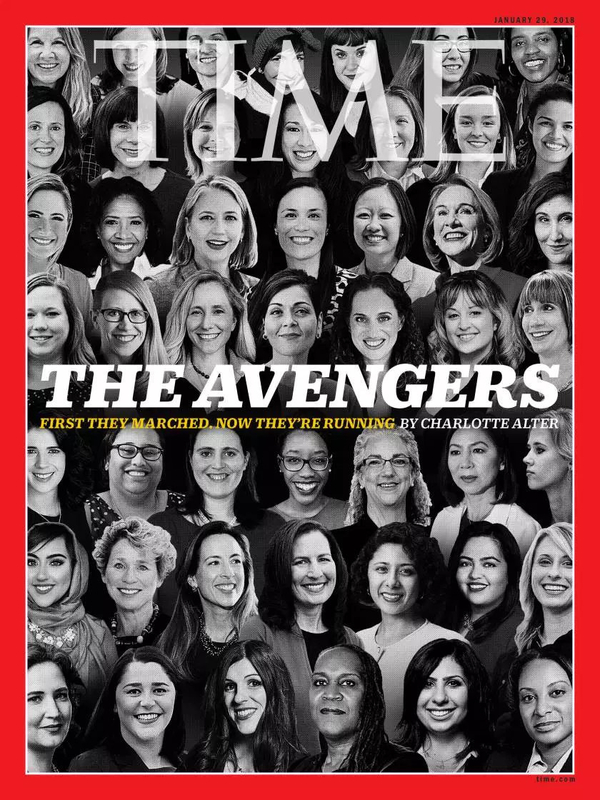 Standards have been slipping for years in the media, so nobody cares if Time slings 48 nameless wenches on their front cover and calls them ‘Avengers.’ People are way too busy killing each other in games to demand credentials these days, but if you look at the top row, behind the letters, it appears they included our feminazi, Rebecca Parker Mankey. Time Magazine thinks the punk who abuses old Jews in Starbucks is an ‘avenger.’ Heh. It would be funny was it not so pathetic. 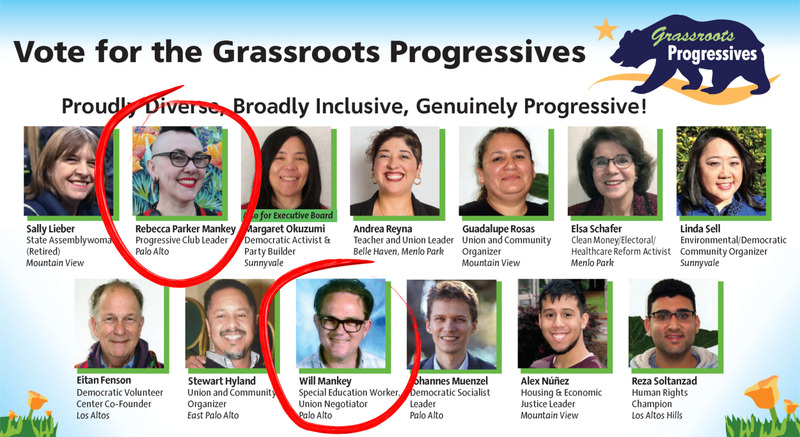 Mankey got fired from both her accountacy job in the Gryphon Strings music shop, and from the Bayshore Progressive Democrats. 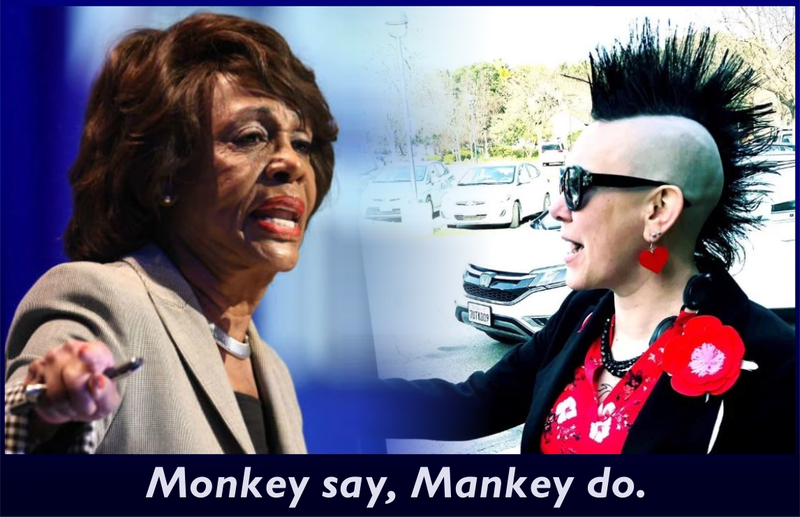 Mankey was co-chair, officer and member there, but resigned those positions April 3, 2019, after her attack on Victor went viral on Twitter. It appears that she remains on the North Ventura Coordinated Area Plan Working Group. They deleted her picture here recently. As you can see from the photo above, her husband Will Mankey is a union negotiator (I call them extortion racketeers). What did the Mankeys do before activism and politics? For one thing, they were begging for money on gofundme.com. This is the page they put up January 2013, asking $10,000 to “help us beat cancer.” The emotional plea netted them $11,198 from 57 people over 75 months. We seriously need your help. We are in the midst of a combination of problems which have the capacity to ruin us. My wife was diagnosed with breast cancer on New Year’s Eve and we have been uninsured for some time now. My wife has been vigorously looking for work for months, but the competition for accounting positions has proved to be severe. We need financial assistance to get through this. I continue working with special-needs children in our school district which just pays rent and the bills are piling up, and are only going to continue with the cancer and surgery treatments. We are fully prepared to lose “luxuries”, but help us keep the necessities. We are a family of four; a loving, artistic mother, playful father who has been a Cub Master and Little League Coach, and two fantastic children. These kinds of things have a habit of disappearing soon after I write about them, so here is a screen recording of that page today. One has to wonder if the 57 donors, who gave an average of about $200 each, would have been so generous if they had known the kind of people they were supporting. If they saw Becky Mankey with a punk Mohican hairstyle, abusing and threatening Mr. Victor F. over a hat, would any have contributed a dime? I think Becky made Mankeys out of those donors and Time Magazine. 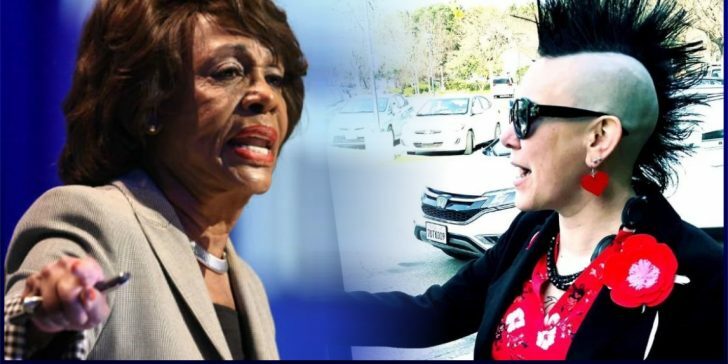 Democrats were 100% responsible since congresswoman Maxine Waters has long been encouraging Lefties to attack Trump supporters in public. Reporters from KPIX went to the Mankey house, in Patricia Lane, Palo Alto, and a woman there refused to answer the door. They tried calling her, but there was no answer. It is good to see reporters doing their job, albeit on a small scale. The Mankeys have lived in Patricia Lane for nine years now, driving the same old 90’s Toyota pickup. They cannot afford to lose two jobs, so it may mean going back to the dole line for Becky. 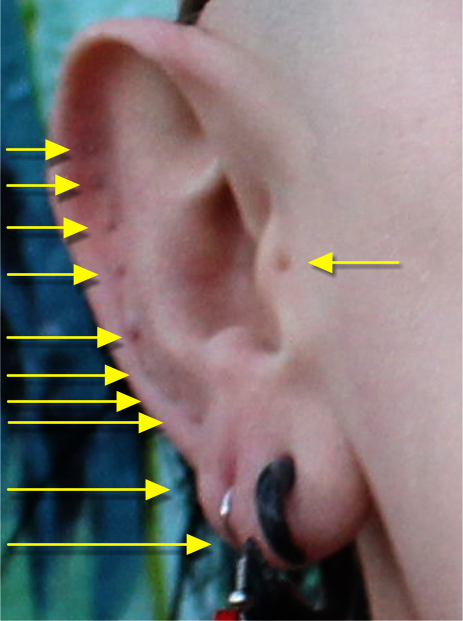 You can always recognize her by the dozen or so punctures in her right ear, where all the studs and rings usually go. To those who frequent gofundme, take care. There may be a couple of face-hidden folk asking for 10,000 bucks soon, whining about having shingles, gout or chilblains. “Save us,” it will read. Or, because of this article, perhaps it will just be a single mother, a victim of toxic masculinity, requiring help. Anti-Trumpers are everywhere across the country. They will spit in your food, sabotage your car, damage your house, hurt your children and interfere with your online accounts every chance they get. 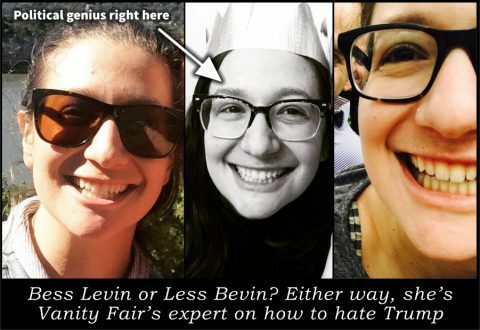 Lefties hate honest debate, preferring to use ad hominem and sabotage when they can. They sneer, jeer and spray graffiti because they cannot find logical arguments to support their thieving ideology. Conservatives brave enough to wear MAGA hats will have to keep this in mind. 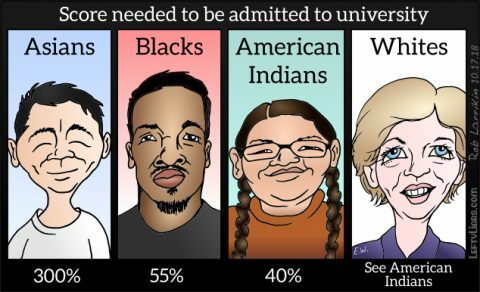 Lefties do not want you to make America great again. They hate America. They hate you. Although I commend those with the courage to wear Trump hats and salute Mr. Victor F. for his bravery, my advice to others is to avoid doing this. Wear your MAGA hats in your hearts. Do not give enemies a target. Marines out in the field are told to dig a foxhole, shut up, and go to sleep. Keep down, keep quiet; lights out. Sure, a marine could leap up and yell, “I hate ISIS,” and wave Old Glory around if he wanted a bullet through the head, but what does that achieve? There is nothing cowardly about staying alive during a war, and today we are at war with socialist scumbags. 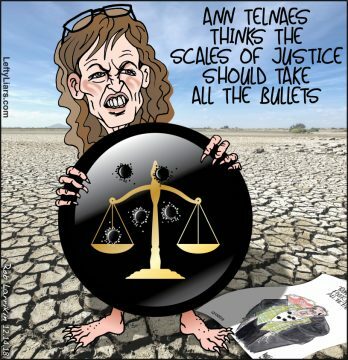 Rather than give the murder-brats something to aim at, keep your head down and kill them stone dead on election day. Scumbag Democrat had a job but it was not Starbucks. You look bad if you get one of the major parts of the story completely wrong. Like a 12 year old bad. I doubt that you read the whole article. Like six year old bad.